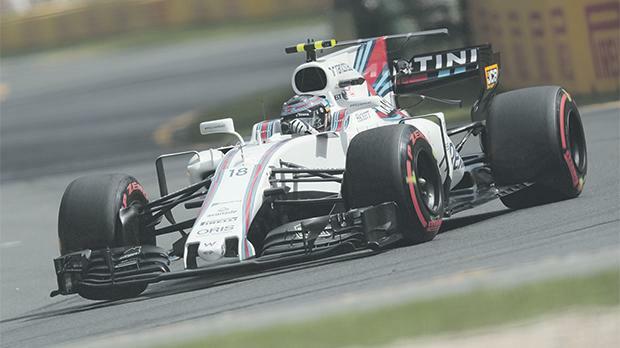 Lance Stroll driving his Williams at Melbourne. Former champions Williams ex-pressed optimism for Formula One’s future under the sport’s new owners Liberty Media after the team reported a profit and increased revenues for 2016. The British-based team, who last won a race in 2012, finished fifth last year after ending the previous two seasons in third place overall. Williams said group revenue had increased from £125.6 million in 2015 to £167.4 million last year. The Formula One side accounted for £116.7m, compared to a previous £101.5m. Group earnings before interest, tax, depreciation and amortization (EBITDA) improved from a loss of £3.3 million in 2015 to a profit of £15.5 million. Income from the sport’s commercial rights holder is paid a year in arrears. “Our team continues to attract support from some of the world’s leading companies and brands, and we are very optimistic about the overall potential for the sport, under Liberty Media’s stewardship,” commented chief executive Mike O’Driscoll. US-based Liberty took control in January, replacing CVC Capital Partners as commercial rights holders and appointing Chase Carey to run the business instead of 86-year-old Briton Bernie Ecclestone. Formula One teams currently have individual deals with the commercial rights holder that expire in 2020. Ferrari, Mercedes, McLaren and Red Bull receive tens of millions of dollars to reflect past success and their importance to the sport, money that is paid regardless of current performance. Williams also get a ‘heritage bonus’. Liberty has said it wants to see a more level playing field, with a more competitive grid that would give smaller teams a chance.